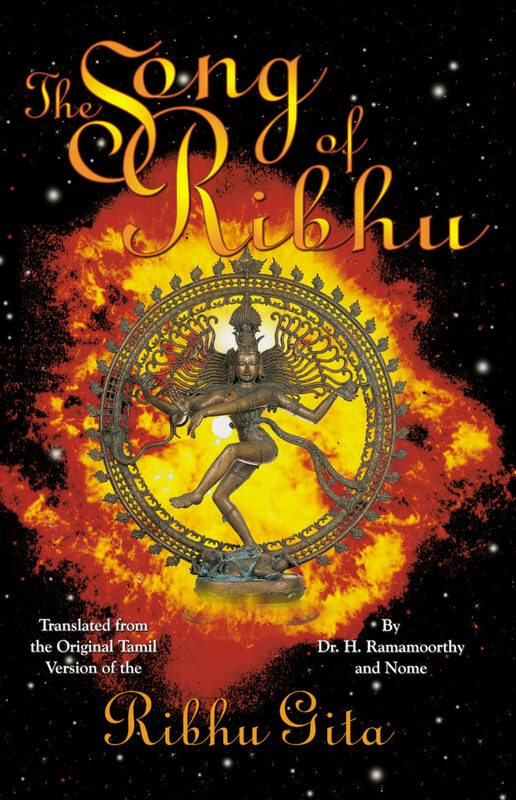 The Society of Abidance in Truth (SAT) has published the first complete translation into English of the Tamil book The Song of Ribhu. This classic work of Advaita Vedanta (nonduality) has ancient origins, probably dating from the period of the Upanisads. Sri Ramana Marharshi regularly recommended it to spiritual seekers. The Song of Ribhu is instruction by the sage Ribhu to his disciple Nidagha to assist him in realizing the ultimate Truth. For any spiritual seeker interested in Self-knowledge, it provides a detailed and lyrical description of Self-Realization, Enlightenment, or the Realization of the Absolute. This translation, in eight-line verse that simulates the Tamil original verses, is the result of several years work by Dr. H. Ramamoorthy, the Indian religious scholar and Nome, a teacher of the Society of Abidance in Truth. They have collaborated in translating several ancient works of Advaita, including previously unavailable works of Sankara and the English translation of the Sanskrit Ribhu Gita, published by SAT in 1995. The Song of Ribhu and the Ribhu Gita are two distinct works. Although this Tamil Song of Ribhu and the Sanskrit Ribhu Gita are based in the same ancient teachings they are quite different in form. The verses, for example, cannot be directly aligned. The Sanskrit resembles a more spontaneous outpouring of expression of nondual Realization, while the Tamil text not only contains much different content but a more systematic arrangement of the expression of nondual Realization. The serious seeker is therefore well advised to seek benefit from both. The Tamil work is also warmly recommended by H.H. Sri Chandrasekharendra Sarasvati Swamigal Sankaracharya (Kanchipuram), and Srila Sri Tavatirthu Nachiappa Gnanadesiki Swami (Kovilur Math). This new publication is the translation of this unique text that is so highly recommended by sages and holy persons of India. In which there is no distinction of "I" or "body,"
In That itself as That itself.